The Berkeley Historical Society, founded in the summer of 1978 from the ad-hoc Berkeley Centennial Celebration Committee, is a non-profit, all volunteer group dedicated to researching, preserving and sharing Berkeley’s history. Through exhibits, lectures, walking tours and publications, an appreciation for the uniqueness of the city and the diversity of cultures that comprise the rich mosaic of Berkeley has been fostered and recognized. In the beginning there was no permanent home and meetings were held where they could be, but the Society sponsored historical programs, wrote a newspaper series and published books. In August 1992, after many years of existing in school district bungalows, it finally moved to the current location in the Veterans’ Memorial Building at 1931 Center Street. 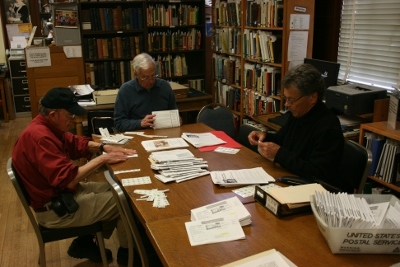 The Berkeley Historical Society was now able to maintain the Berkeley History Center with a library, exhibition space and an archive in which to house and maintain the vast collection of photographs, materials and memorabilia relating to Berkeley.